Halifax, NS – 04 January 2018 – DHX Brands, the dedicated brand management and consumer products arm of DHX Media (or the “Company”) (TSX: DHX.A, DHX.B; NASDAQ: DHXM) has signed its first two consumer products deals in China for the preschool hit Teletubbies, appointing licensees to launch a new range of toys in the territory, and produce a children’s publishing line. The deals, which were brokered for DHX Brands by Promotional Partners Worldwide, will see the launch of Teletubbies toys in China in Spring 2018, followed by the launch of children’s books later in the year. Building on DHX Brands’ strategy to expand the Teletubbies brand throughout Asia and to capitalize on the significant potential for consumer products in the territory, the new agreements follow the successful rollout of the new Teletubbies series in China on the country’s most popular streaming services, including iQIYI, Youku, Tencent and others. Since launching in June 2017, the series has generated 100 million views on such platforms. 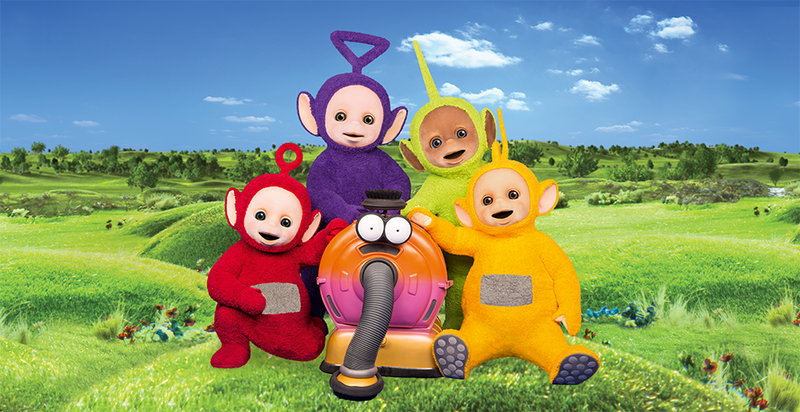 The newly signed licensees in China are a part of DHX Brands’ global rollout of the renewed Teletubbies brand, which began in the U.K. in 2015. Since then, the property has enjoyed considerable success in the UK, consistently ranking in the territory’s top-five preschool properties, and posting strong sales in the master toy category, which has shown solid year-over-year growth. Plush toys remain an integral part of the product line, and have been boosted further by the successful introduction of new Tiddlytubbies plush toys in 2017. In China, the market potential is significant for Teletubbies, with approximately 226 million children under the age of 14 on the Chinese mainland, and the number of newborns expected to climb up to 21 million annually by 2021. Retail sales of toys and games in China grew at an average annual rate of 2% from 2010 through 2015, and are expected to exceed US$43.5 billion within the next two years. * The original Teletubbies series was a massive hit in China, becoming the first western preschool property to air on China’s CCTV. This press release contains “forward-looking statements” under applicable securities laws with respect to DHX Media including, without limitation, statements regarding timing of the launch of Teletubbies toys and books in China, the markets and industries in which DHX Media operates, including the market potential in China for Teletubbies, and the business strategies and operational activities of DHX Media. Although the Company believes that the expectations reflected in such forward-looking statements are reasonable, such statements involve risks and uncertainties and are based on information currently available to the Company. Actual results or events may differ materially from those expressed or implied by such forward-looking statements. Factors that could cause actual results or events to differ materially from current expectations, among other things, include the Company’s ability to close and execute on anticipated licensing arrangements, changing demographics and/or consumer preferences in China and risk factors discussed in materials filed with applicable securities regulatory authorities from time to time including matters discussed under “Risk Factors” in the Company’s most recent Annual Information Form and annual Management Discussion and Analysis, which also form part of the Company’s annual report on Form 40-F filed with the U.S. Securities and Exchange Commission. These forward-looking statements are made as of the date hereof, and the Company assumes no obligation to update or revise them to reflect new events or circumstances, except as required by law.